When you are looking to do some serious towing take a look at the all-aluminum, inTech Gooseneck Series trailer that RPM Trailer Sales has to offer. 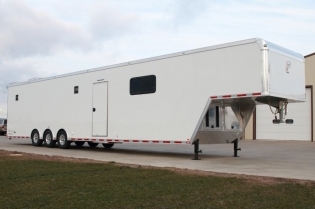 With our custom design process utilizing every inch of a custom engineered all-aluminum, all-tube frame design, allows our gooseneck trailers to deliver years and years of reliable service specific for your personal needs. We have a dedicated Amish workforce that take enormous pride in building the absolute finest trailers available. While we believe the pictures on this website showcase our extraordinary designs there, is nothing like seeing one of our trailers in person. We offer a wide selection of lengths and widths. 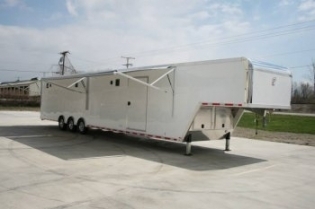 Each and every one of our inTech Trailer designs are custom built to your exact specifications. Call us today to learn more about what RPM Trailer Sales has to offer 706-654-2882. Copyright © 2019 RPM Trailer Sales.